Fourteen internationally recognized experts on cat and dog genetics—and the related areas of cancer, behavior, counseling and breeding—will present more than 14 hours of lectures on the latest genetic research at Boston’s Omni Parker House September 16 and 17. 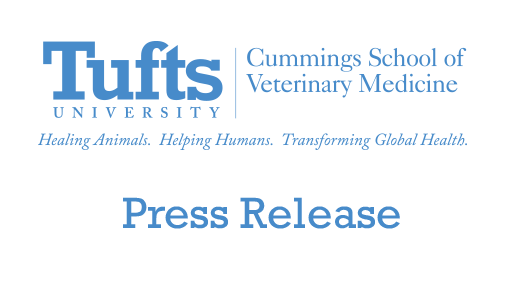 The fifth annual Tufts’ Canine and Feline Breeding and Genetics Conference is focused on the practical application of genetic disease management based on discoveries from genome research. The goal of the conference is to bring together researchers, breed club representatives, breeders, owners and practicing veterinarians to further understanding and collaboration in the area of feline and canine gene searching and genetic test implementation. 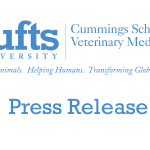 Led by Jerold Bell, DVM, a clinical associate professor of clinical sciences at Tufts University’s Cummings School of Veterinary Medicine, the course will include topics ranging from mapping canine disease genes to the common problems and clinical challenges in feline reproduction. Simply put, there is a lot of misinformation in the marketplace when it comes to genetics and breeding in dogs and cats, said Dr. Bell, who also serves as course director for the Clinical Veterinary Genetics course within the Cummings School’s veterinary curriculum. By pulling together veterinarians and technicians, breeders and enthusiasts, we hope to clear up the myths and advance a greater understanding of this often confusing area of study. In addition to Dr. Bell, speakers include Tufts faculty members Lisa Barber and Alice Moon-Fanelli, Lorna Kennedy of the University of Manchester (UK) School of Medicine, and Kerstin Lindblad-Toh of the Broad Institute. Additional lectures will be offered by Susan Little of Bytown Cat Hospital, Leslie Lyons of the University of California at Davis School of Veterinary Medicine, Cathryn Mellersh of the United Kingdom-based Animal Health Trust, Jaime Modiano from the University of Minnesota’s Masonic Cancer Center, Mark Neff of the Translational Genomics Research Institute (TGen), and Cynthia O’Connor from Slade Veterinary Hospital. Heidi Parker of the National Human Genome Research Institute, Mark Rishniw of Cornell University’s veterinary school, and Rachael Thomas are also slated to speak. The event is sponsored by Nestlé Purina PetCare, Illumina, Winn Feline Foundation, Orthopedic Foundation for Animals, and VIN. For more information or to register, please see the Canine and Feline Breeding and Genetics Conference event page.